All-day support to count on. Don't skimp on support. Any serious backpacker will tell you... a non-rigid backpack experience is no way to spend your day hiking a rough trail. This U.S. Military backpack includes a polymer frame to hold your gear away from your back and keep weight evenly distributed away from pressure points. Entrust your next adventure to unmistakable U.S. Military quality. Built to the strictest specifications. Made with pride in the U.S.A. under government contract, not a scrimped stitch to be found from top to bottom. Tough, heavy-duty water-resistant nylon keeps going under the threat of rain or snow. All compartments are easy to access, and keep your equipment separate and organized for no-digging retrieval later. 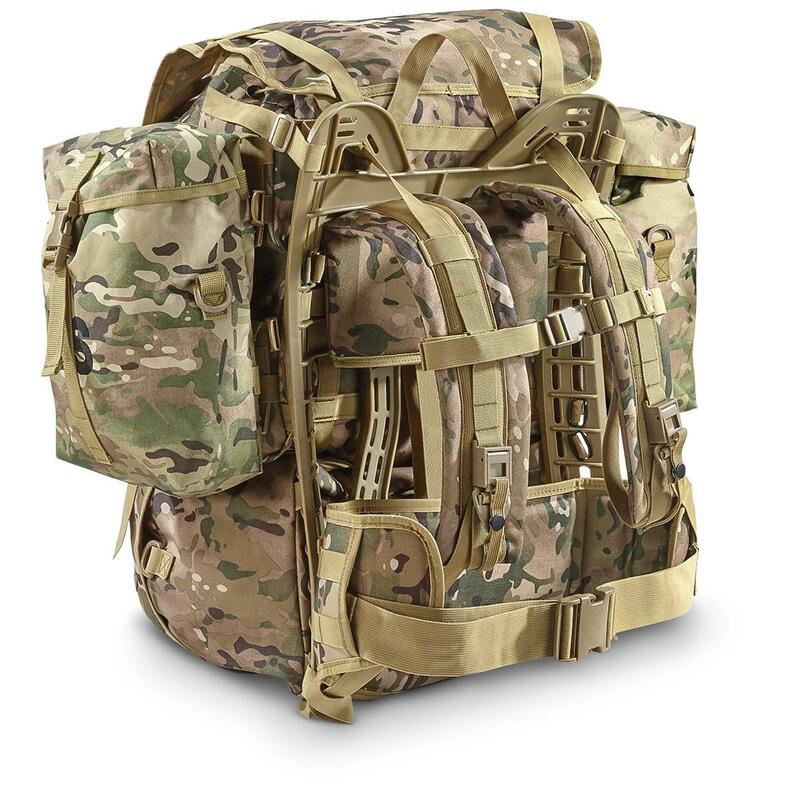 Private backpack makers wish they could produce something of this quality, but it would be cost prohibitive. Luckily you've got the surplus connection here, with a price just a fraction of original government cost! 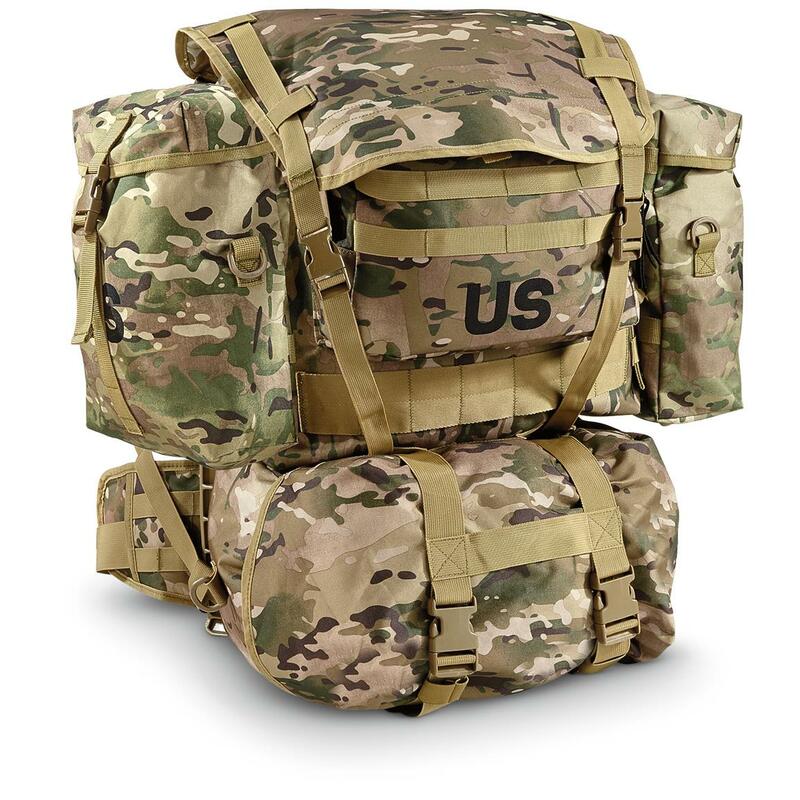 Gear Compartment measures 16" x 16" x 12"
Lower Compartment measures 14" x 10" x 12"
Accessory Compartment measures 12"x 7" x 2"
Sustainment Pouches measures 11" x 9" x 4"
Don't wait! Grab your Pack while this deal holds out!